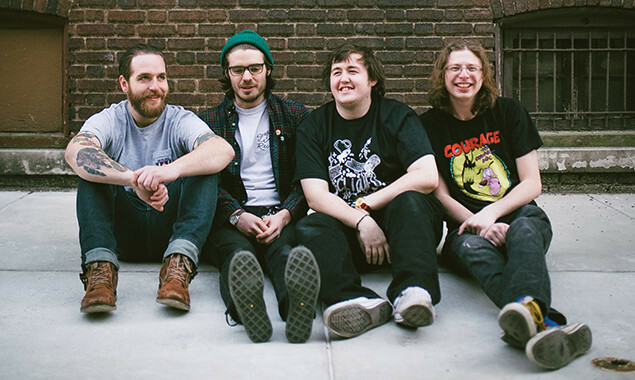 Modern Baseball's Brendan Lukens will not take part in the band's upcoming UK / European tour, as he takes time to "focus on my mental and physical health". "Hello fam - Bren here. "I have some unexpected news. I will not be joining Modern Baseball on the upcoming Europe / UK tour. I am okay -- but I need this time at home to focus on my mental and physical health. The band will continue on with the tour thanks to help from mega friends Thins Lips, Superweaks and all the MOBO crew. This was an incredibly hard decision for me, and it was even harder confronting myself and the band about how I am feeling. Still, I know this is what I need right now. I can never thank MOBO and our crew enough for taking on the roles they have to support me." "I love y'all very much." Mental illness is very serious and should never be taken lightly. It's a long journey to understanding and coping with your illness but I have so much faith in y'all, and myself. If you or a friend ever feels lonely, depressed, sad, confused, whatever here are some crisis hotlines you can call. Again, I love y'all very much -- talk soon"
He also shared links to a number of mental health crisis hotlines, which you can see below.